The Exo™ Handgun Case from Allen is what every handgun owner needs for their favorite handgun. This handgun case features a thermo-molded exoskeleton with a micro egg crate foam interior, both designed to keep your firearm protected from dings and scratches whether you're at the range or in the field. The heavy-duty lockable zippers also keep your gun protected from prying eyes. 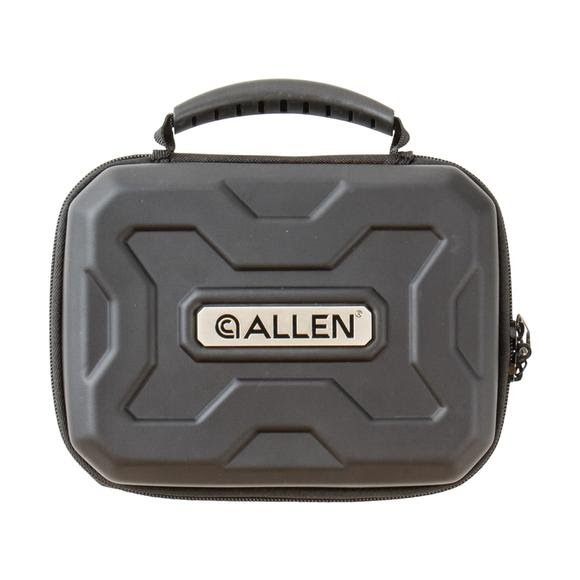 The Exo™ Handgun Case from Allen is what every handgun owner needs for their favorite handgun. This handgun case features a thermo-molded exoskeleton with a micro egg crate foam interior, both designed to keep your firearm protected from dings and scratches whether you&apos;re at the range or in the field. The heavy-duty lockable zippers also keep your gun protected from prying eyes. Includes a brushed metal Allen nameplate and a comfortable molded carrying handle.